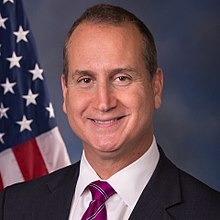 Representative Mario Diaz-Balart (R-Fla) has been named a Rural LISC Policy Champion by the Local Initiatives Support Corporation (LISC) for his efforts to support vital housing programs that help families in South Florida thrive. The eight-term congressman chairs the House Appropriations Subcommittee on Transportation, Housing and Urban Development (THUD), where he has supported critical programs like NeighborWorks America and Section 4 Capacity Building for Affordable Housing and Community Development. Section 4 provides support to community-based organizations so they can develop affordable housing, finance small businesses, revitalize commercial corridors, and help address local healthcare, childcare, education and safety needs. LISC and Rural Neighborhoods presented the award during the national Rural LISC Seminar, Recognizing Opportunity Resilience Recovery and Revitalization in Rural America, in Washington, DC. The Rural LISC Seminar brought together more than 250 rural leaders and advocates from across the country to share best practices. “Rep. Diaz-Balart understands how hard people work to build a good quality of life,” said Steve Kirk, president of Rural Neighborhoods, who presented the award on behalf of LISC. He said the congressman has long worked to connect the dots from a complex array of federal programs to on-the-ground impact. “We are thrilled to see him recognized for efforts that have benefited millions of families, not just in South Florida, but across the country,” Kirk said.